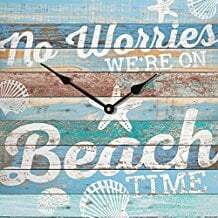 Below is a list of all of our absolute favorite beach wall decor in a variety of categories including artwork, wooden signs, decals, metal art, mirrors, clocks, and tapestries. 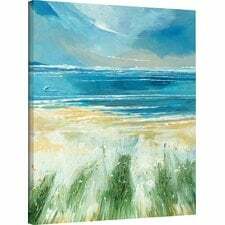 Artwork including prints, giclees, canvas, photographs, illustrations, paintings, mixed media, drawings, and more are great for covering the walls of your beach home. 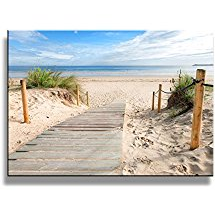 When it comes to beach wall decor, artwork is one of the most popular categories. 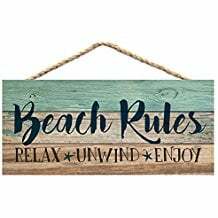 Wooden signs are very similar to artwork but the design is always printed on different types and different colors of wood. 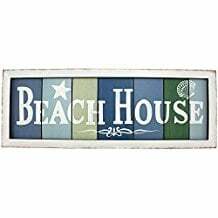 Some of the wooden signs are slat signs and horizontal while others are vertical, so you should be able to fit them anywhere in your home. 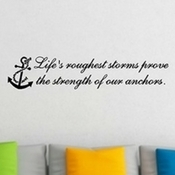 Wall decals are stickers that go on your wall and they usually include some type of design or a quote. 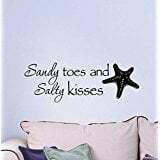 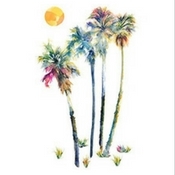 Beach wall decals are great for the walls of your beach home because they are inexpensive. 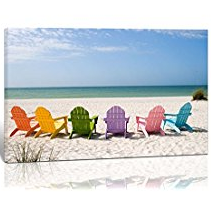 You can get a quote like “Life is better at the beach” for your wall. 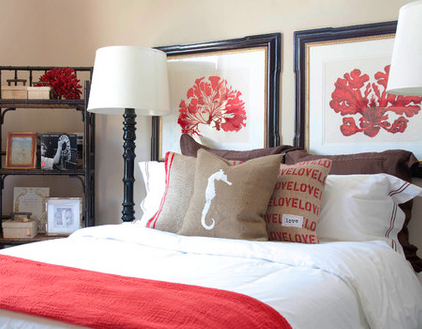 Metal wall decor is awesome because it’s like sculptures that are built to be put and hung on your wall. 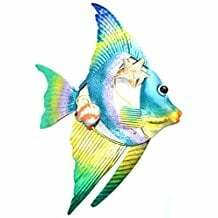 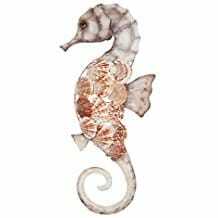 We have metal wall decor that includes seahorses, starfish, fish, turtles, signs, and more that will go great for your wall. 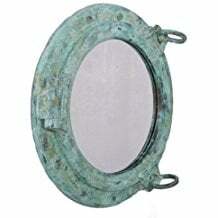 A lot of metal wall decor works outside but some will rust so check out the material. 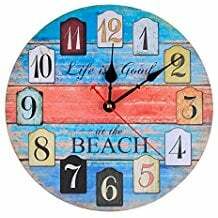 Beach clocks are great for beach wall decor because they add style and help you tell time when you don’t have your cell phone. 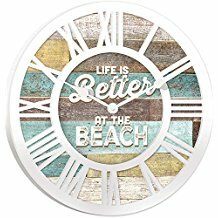 We have a huge variety of beach themed wall clocks that include seashells, lighthouses, sand dollars, distressed wood, ocean scenes, and more. 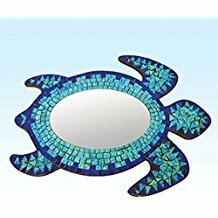 Beach wall mirrors are perfect for not only decor but also for showing a reflection. 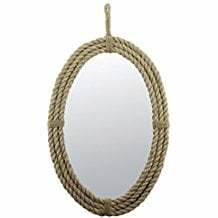 You can use mirrors in bedrooms, hallways, bathrooms, and living rooms so they are very versatile. 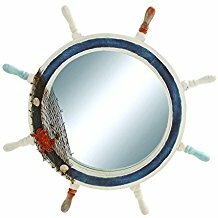 We have coastal mirrors that include themes like seashells, rope, porthole, turtles, and more. 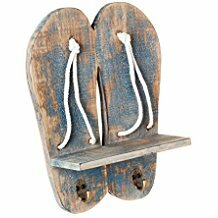 Shelves are great options for beach wall decor because you can mix and match shelves and the accents you put on them. 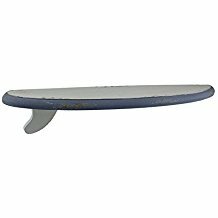 There is a huge variety from beach themed shelf blocks to long wooden surfboards. 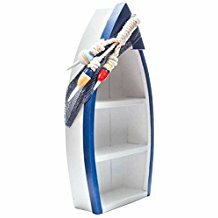 Check out some of the top shelf options below and you are sure to find something. 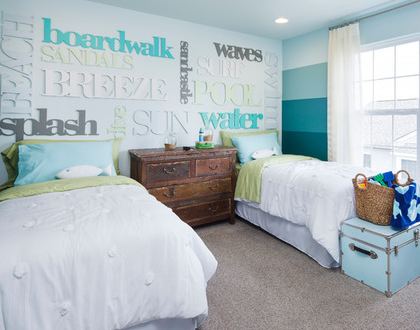 Beach themes and decor are popular for many homeowners even if you don’t live on the beach. 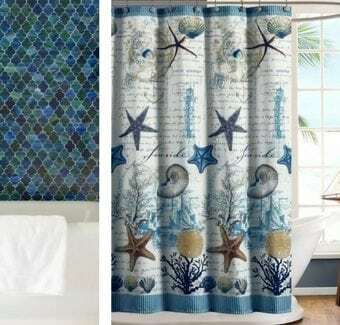 Bringing beach and coastal decor into your home can be a great way to feel like you’re relaxing on the shoreline and it’s a simple way to bring the outside in. 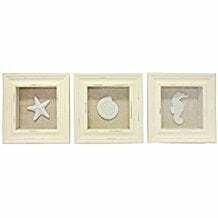 One of the easiest ways to bring a little surf and sand into your home is to purchase beach wall decor. 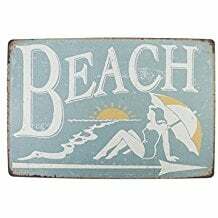 If you’ve been looking for the perfect pieces and are wondering what your options are, this buying guide to beach wall decor is for you! 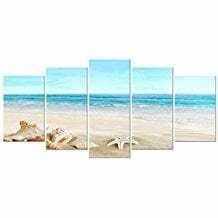 Let’s get started by going over a few different beach or coastal themes; what different types of wall decor you can purchase, price ranges for these items, incorporating the new pieces into your home’s current style and other details that are helpful to know. 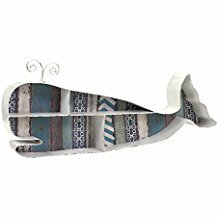 Below, we have listed our absolute favorite wall decor and some of our top sellers from each category. 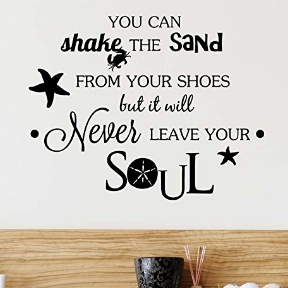 Since there are so many options, we tried to include as much as possible so you can make the best decision for your home. 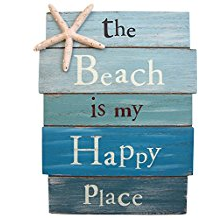 Printed or painted images with beachy words on them such as “I love putting my toes in the sand”, “the beach is my happy place”, “at the beach” and so on. 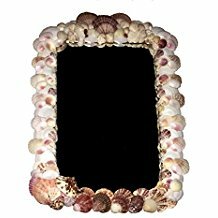 Seashells that are placed in picture frames. 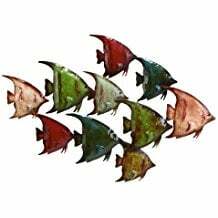 Different background colors can be used to make each one look different from the next. 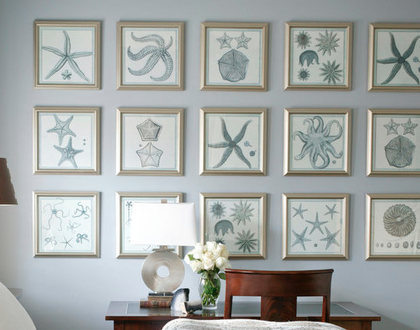 Starfish and anchor wall decor that can be hung from twine. 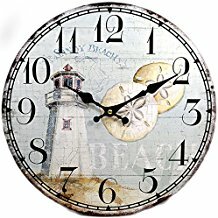 Large wall art that has the main image broken up into separate pieces. 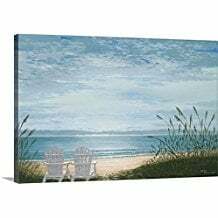 This is a popular choice to capture a large view of the ocean or sunsets. 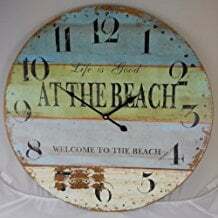 There’s also quite a few options when it comes to choosing what material your beach wall decor is made from. 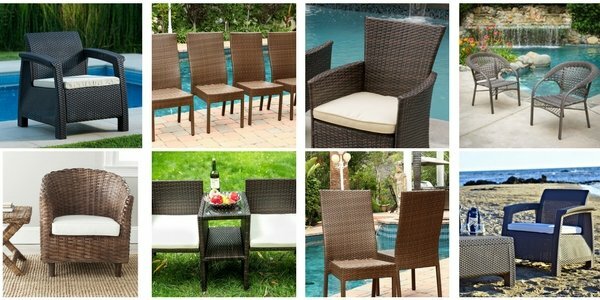 Wood is a popular choice, but as is twill, other types of fabrics and metal. 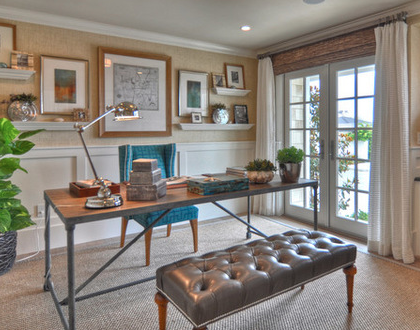 We’re all visual and it’s nice to have design inspirations for your projects. 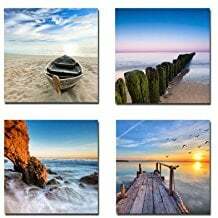 We decided to put together 7 examples of beautiful coastal and beach wall decor for your to go through. 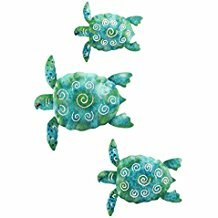 The starting price for simple pieces of wall decor relating to the beach and the coast is around $15 and goes up from there. 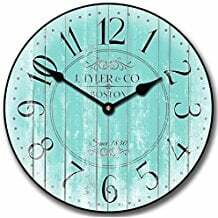 Pricing varies greatly on the size of the item, how the item was made, the details, etc. 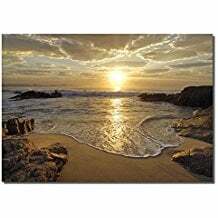 Large wall art such as prints and canvases typically start around $50 and can go all of way up to hundreds of dollars. 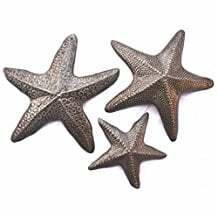 If you’re looking for just one or two small pieces to incorporate into your home, a small starfish or metal fish wall decor are priced around $10 and up and you can mix and match the items to make up your own theme. 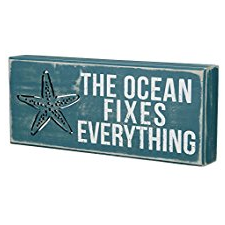 And that’s just a short list. 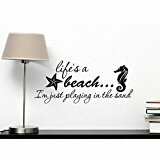 One of the best things about beach wall decor is that it can truly fit in with any other decor themes in your home. 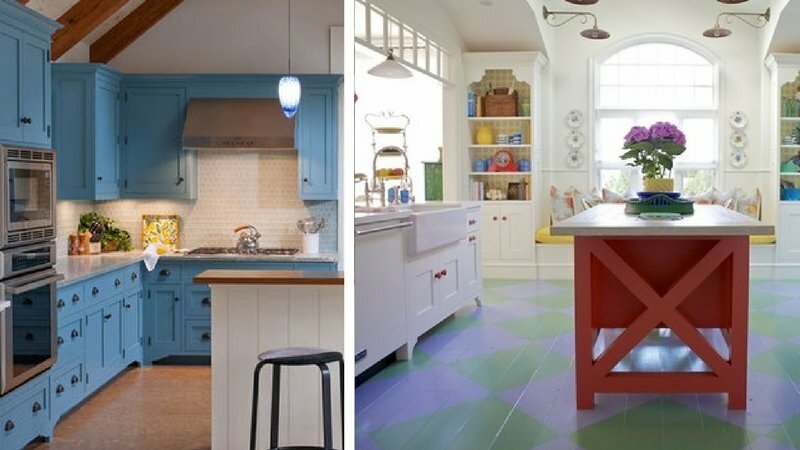 From muted colors to brights and neutrals, it’s easy to fit in and enhance your house at the same time. 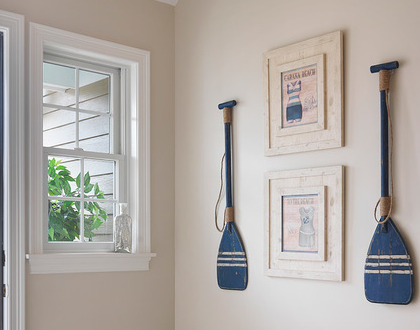 Incorporating beach wall decor into your home’s style is quite simple. 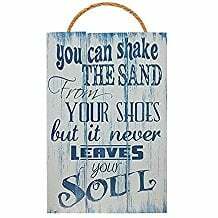 With the ocean being blue and the sand being white or tan, most beach or coastal wall decor items come in colors that are also neutral. 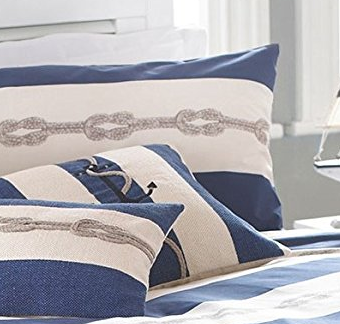 You can choose from light pastels, navy blues, light greens and more. 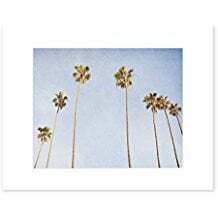 If you happen to want bright colors, you can easily find and purchase items that will fit as well by looking for metal pieces or large prints of tropical beaches or sunsets. 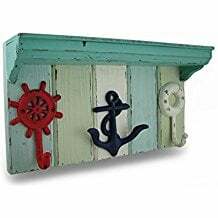 Now that you have a good idea on what type of beach wall decor is available, some of the different themes, the price points and how to incorporate it into your home’s current style, it’s time to find out where to buy beach wall decor! 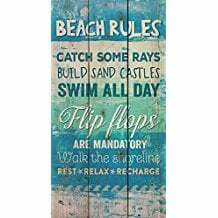 If you live in a coastal area, you’re probably surrounded my many shops and stores that carry beach themed decor. 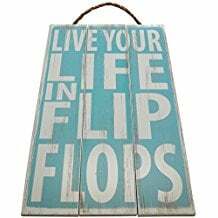 Unfortunately, most of us don’t live next to sounds of the ocean and the warm breezes, which means that the next best option is buying your beach themed wall decor on the Internet. 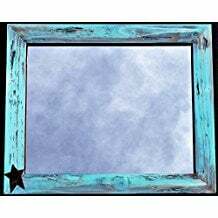 Don’t worry though, the Internet gives you the opportunity to browse a large selection and see several images of products. 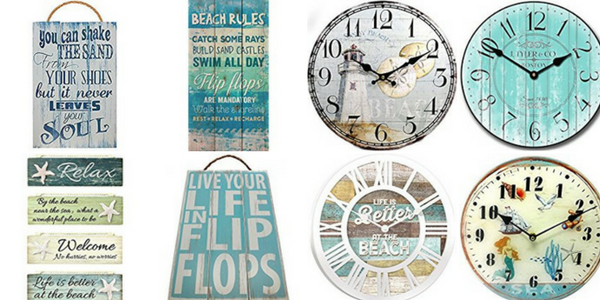 Bring the beach to you by integrating wall decor into your home. 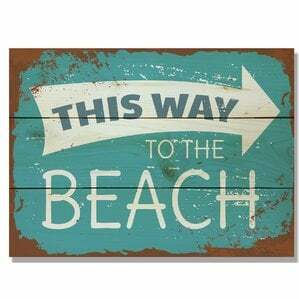 Beach themes are also great for office buildings and hotels as they add a nice little touch of serenity. 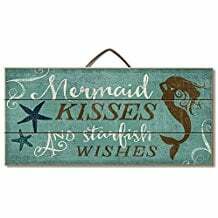 We have listed a ton of our favorites above including wooden signs, artwork, mirrors, plaques, framed prints, accents, metal wall art, shelves, decals, tapestries, clocks, and more.